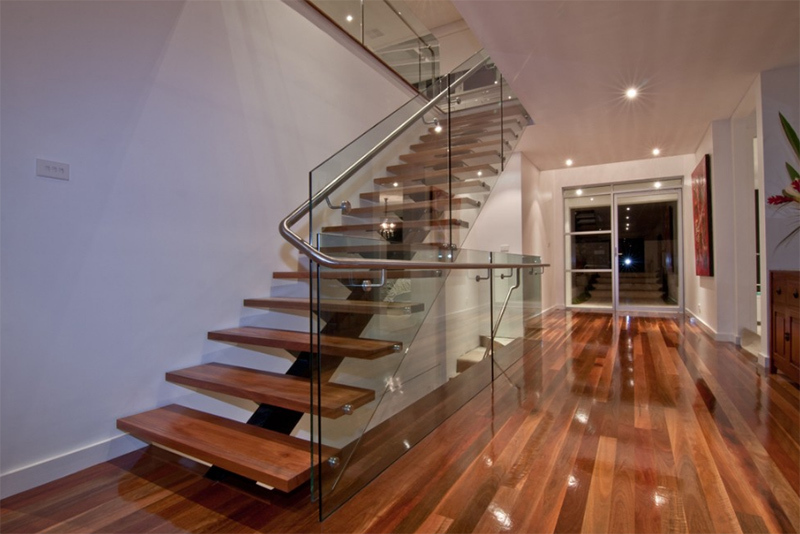 Wood and glass combined look great for your homes staircase. 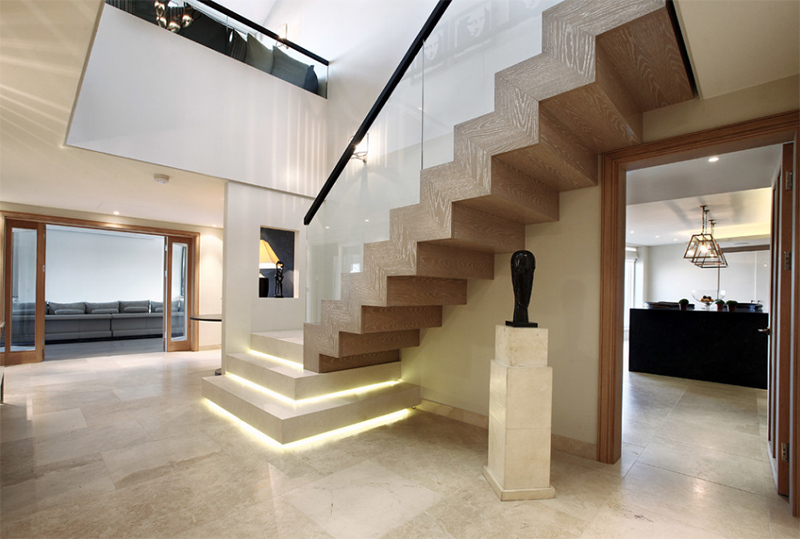 We are all aware that the design of a staircase has a huge impact to the appeal of a home’s interior. 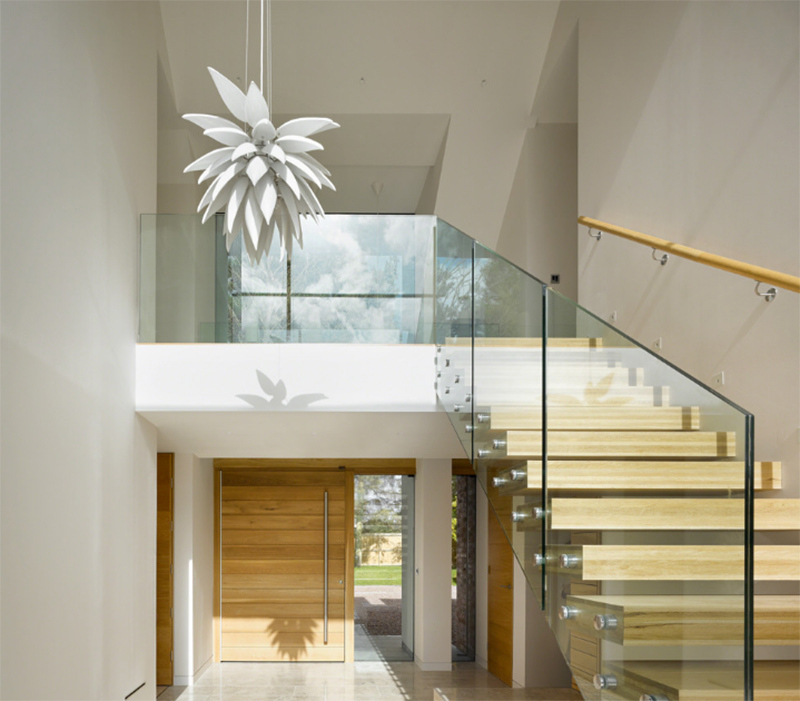 Most of the time, this becomes a highlight inside a house especially if looks really beautiful with an almost sculptural design. 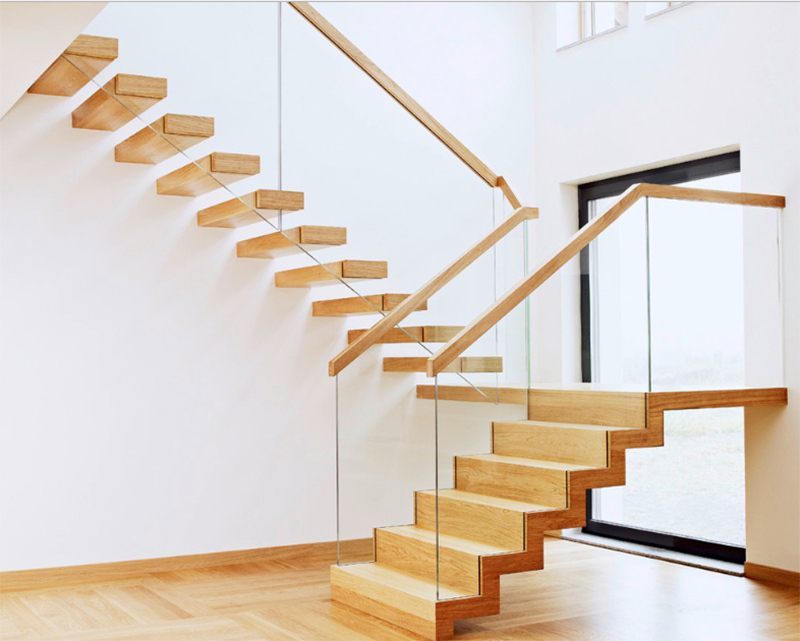 Staircases are made of various materials which may vary from wood to concrete. Its railings could also be made from different materials as well like glass or steel. 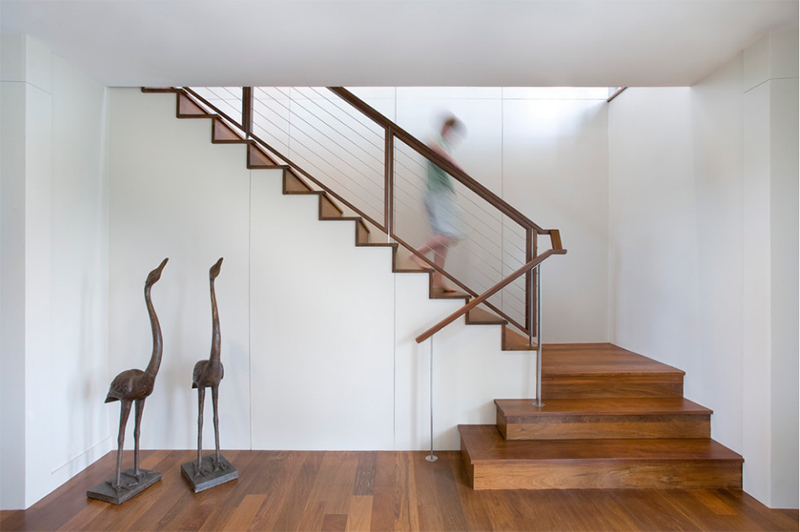 Whatever materials it may use, a staircase would always end up beautiful no matter how simple it may appear. We have seen different staircase designs and today, we are going to show you another list that will surely be a great source of design inspiration if you are trying to look for some designs of stairs. 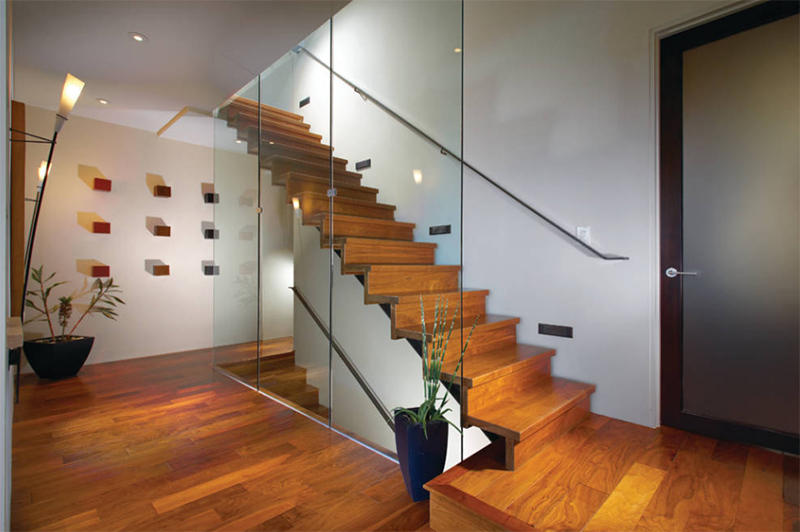 What we will show you in this round up are staircases that made use of wood for the treads and glass for the railings. The combination looks really beautiful and perfect for a contemporary appeal. 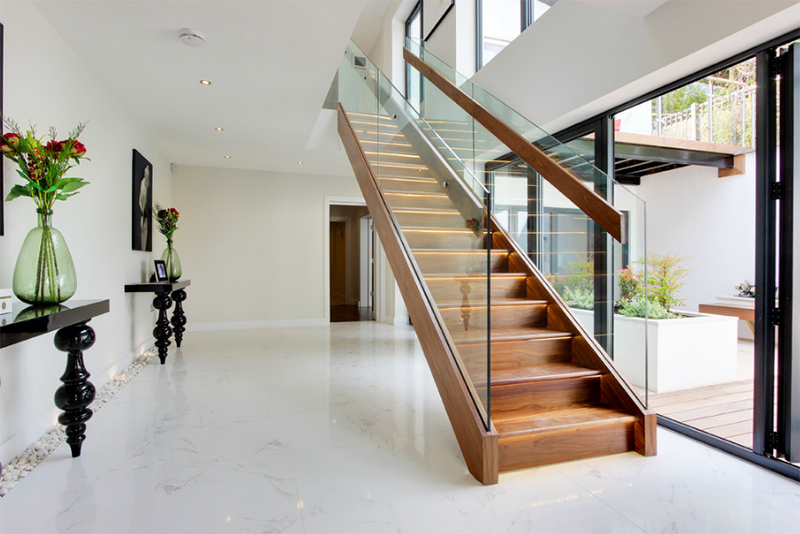 Once you have a staircase like this, you will surely be proud of it and it will no doubt become one of your home’s most impressive features. Take a look at the list we have below. 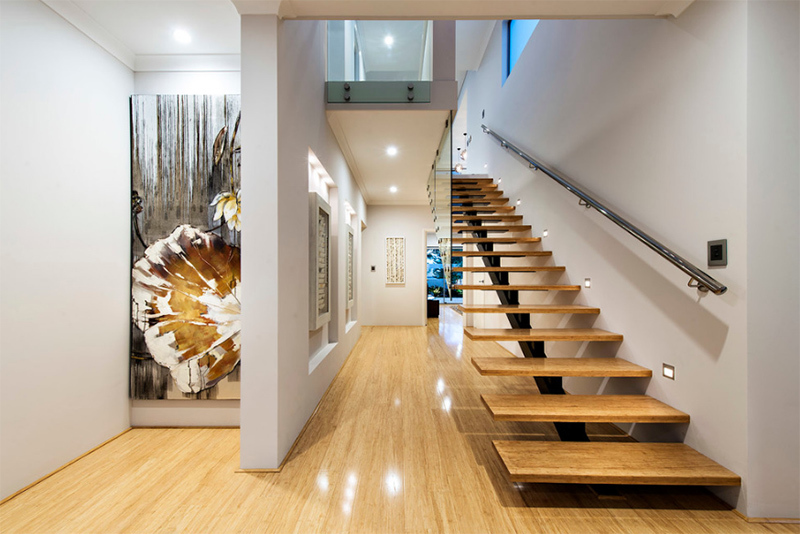 Who would not love the lighting under the staircase of this home? Well, even if only the bottom part has lights on it, it looks really beautiful. Notice also the continues tread design used here and the combination of glass and steel for the railings. If you look closely, the treads used here appears floating but because the other end is also attached to the glass railings, it looked different now. But then again, it turned out really nice with a wooden railing on the other side attached to the wall for more safety. Instead of using one design for the treads, this one used two. On the upper portion, floating steps are used while on the lower portion, you can see that the steps are continuous and are connected to each other. For a simpler approach, you can use this kind of design. Wood is also added on top of the glass railings as well. 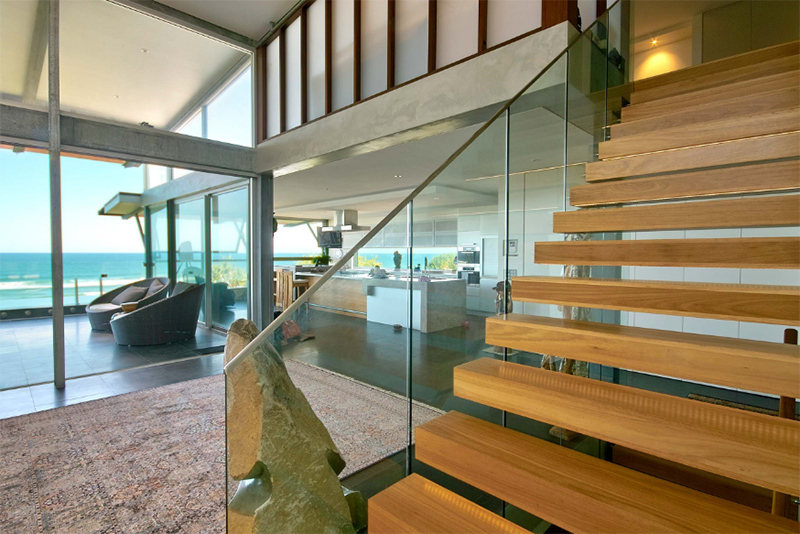 This is a staircase that we usually see in our homes. 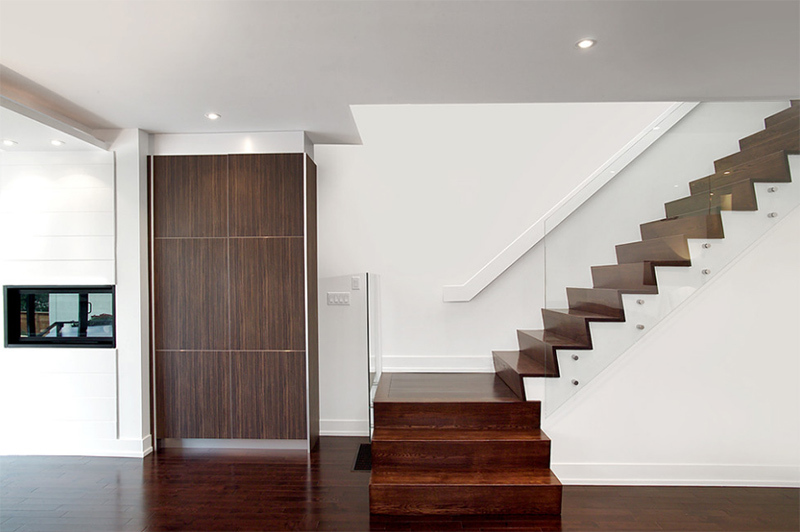 Other homeowners would opt to add a storage space under the stairs to maximize the use of space. Who said you cannot paint wood for the staircase? This one appears whitewashed or gray and it just matches with the motif of the home’s interior. What made this home bright are the clerestory windows and a tall floor to ceiling window in one end. Another beautiful idea for a staircase. 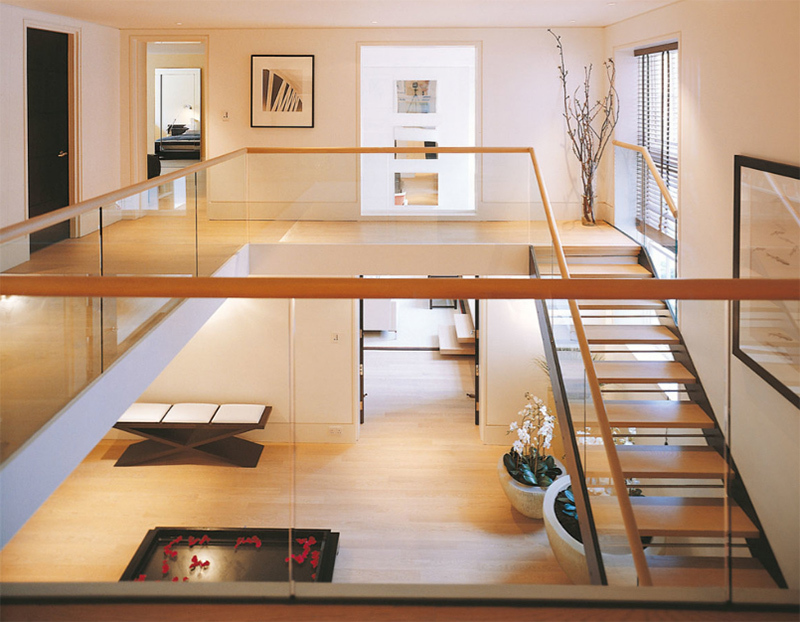 Instead of just having glass railings, it entirely used glass from the floor to the other floor beam creating a glass wall. For additional safety, stainless steel railing is added on the other side that is attached to the wall. 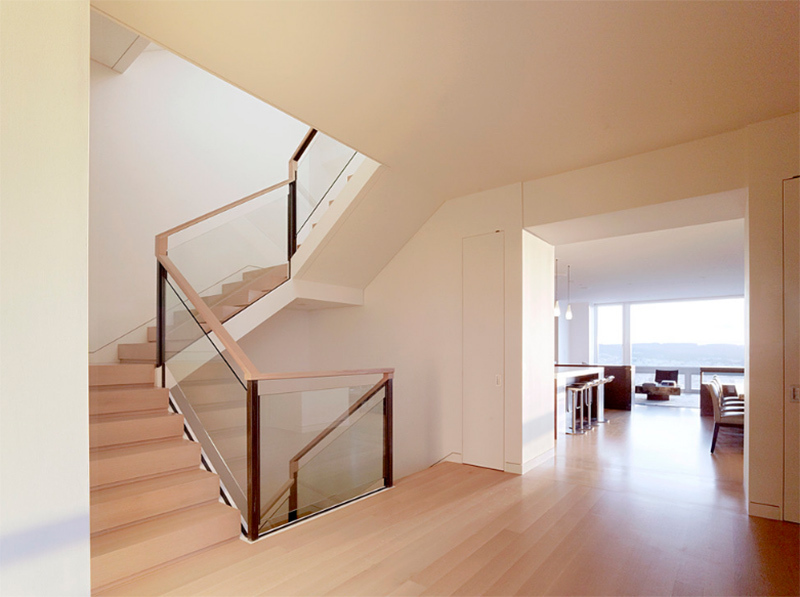 When wood and white are combined, it results into a beautiful staircase design like what we can see now. Totally neat, right? This staircase has a unique design as it added a steel spine that carries the treads. 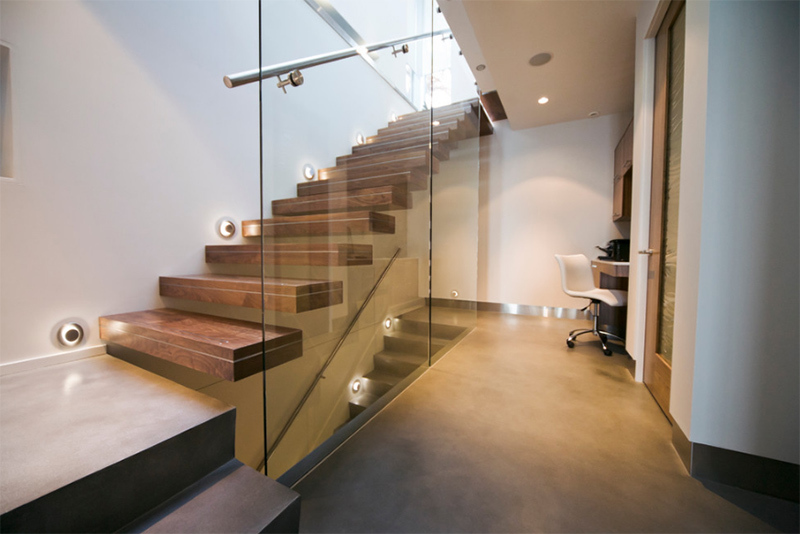 It also used glass for one side and a wall attached stainless steel railing for the other side. 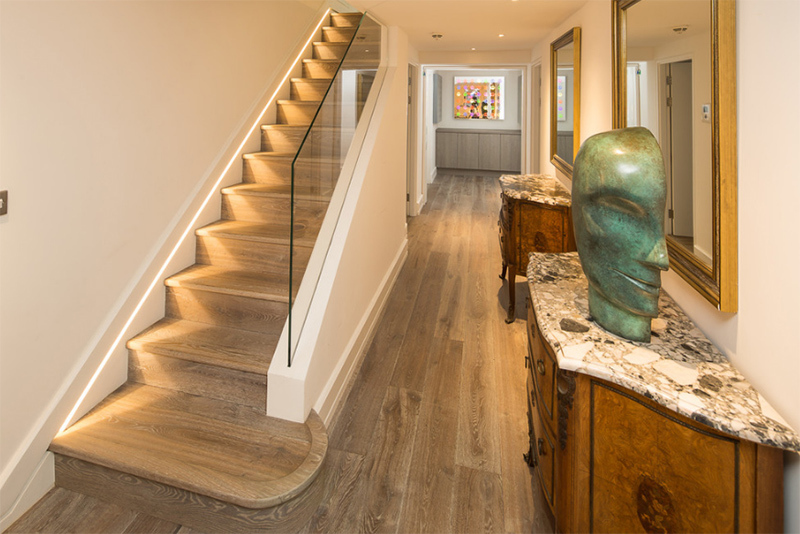 For a flight of stairs, you can always use wood which brings visual appeal to your space that is both soft and warm for the eyes. It looks even nicer with the glass addition in it. Apparently, this is a house that sits near the beach and it has a beautiful interior that is both relaxing and cozy. 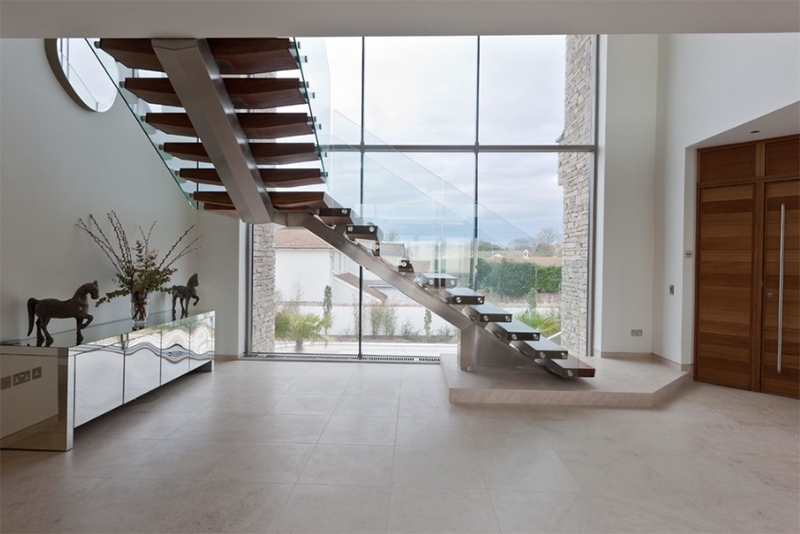 And it features a simple wood and glass contemporary staircase. This one has a different approach to the combination of materials. Instead of just using wood for the treads, wood is also added on the railing part for easier grasp. Something in this house looks a bit Asian to me. And it is a good idea to add lights on the steps as well. Before we talk about the stairs, I am a little intrigued about that wall on with a huge abstract floral mural. Maybe it was intentionally pushed back and the designer may have a purpose for that. On the other side of the space is a staircase wherein the wooden treads are supported with a spine. This one is similar to one entry on this list wherein glass is used as a tall wall on one side. Because of the colorful wall art used here, the staircase looked even more beautiful. You can see that the design of the stairs is just simple but because of the decors around it, it looked really lovely. Isn’t this beautiful? I know you will agree with me that it sure is a stunning design with emphasis on its spine and treads. It would even pass as a sculptural like structure in the house. 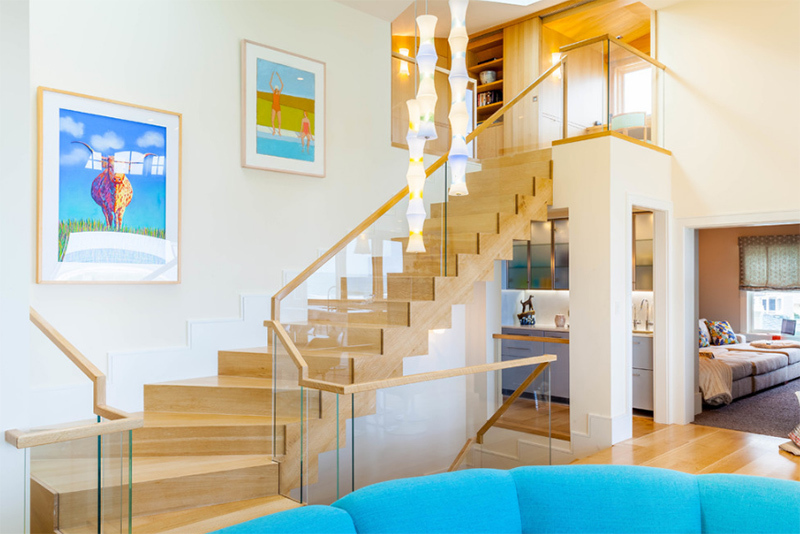 We have surely seen many staircases that used stainless steel railings but this one combined glass and wood with it creating a lovely design. You can also see that the wooden treads rest on a spine. 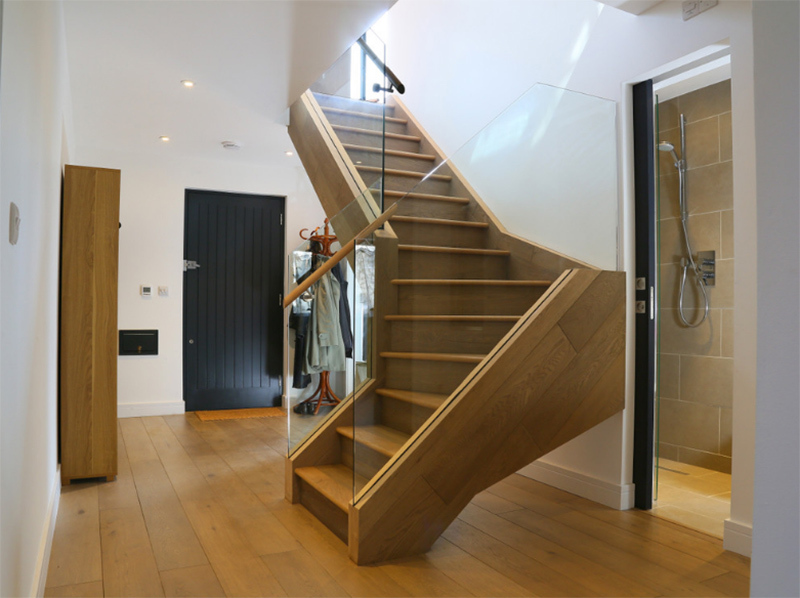 Just a simple design of a wooden stairs with added glass on the railings. It does look really nice despite its simplicity. 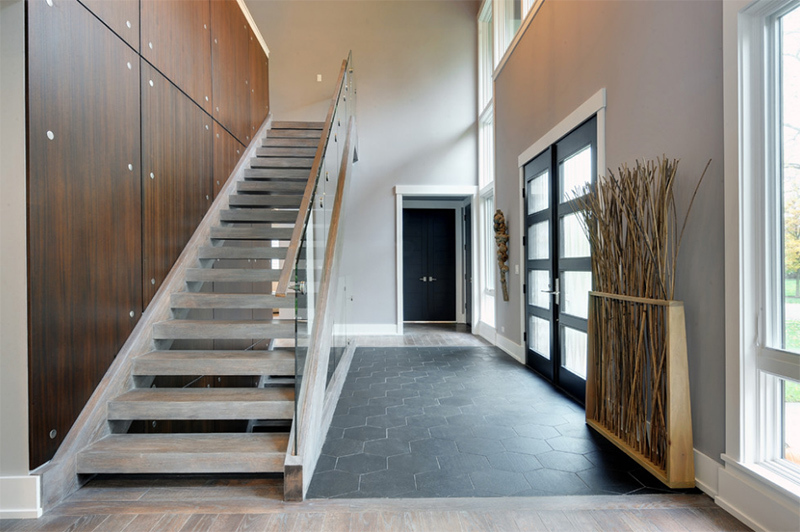 It is a good idea to use wood for the staircase of this home. Because of the white colors around it, it is given much emphasis. 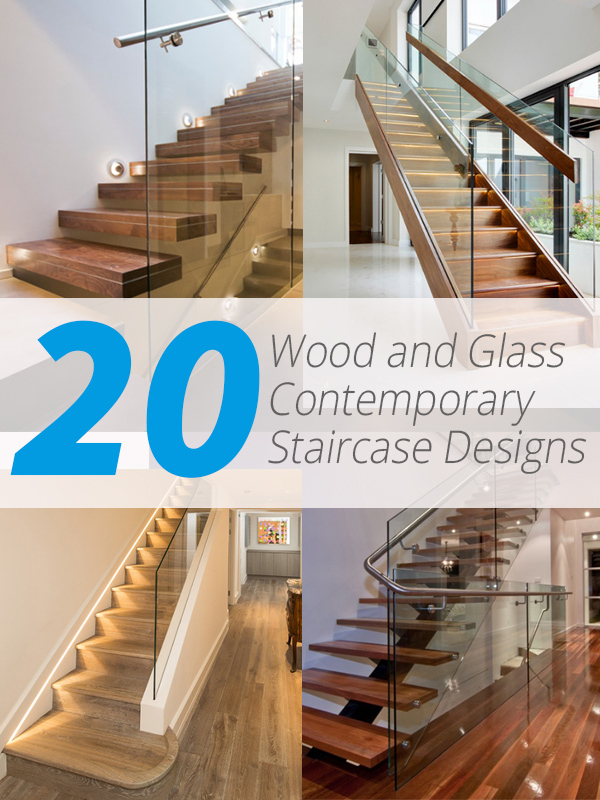 After seeing the list, for sure you are now inspired to get a lovely staircase for your home. 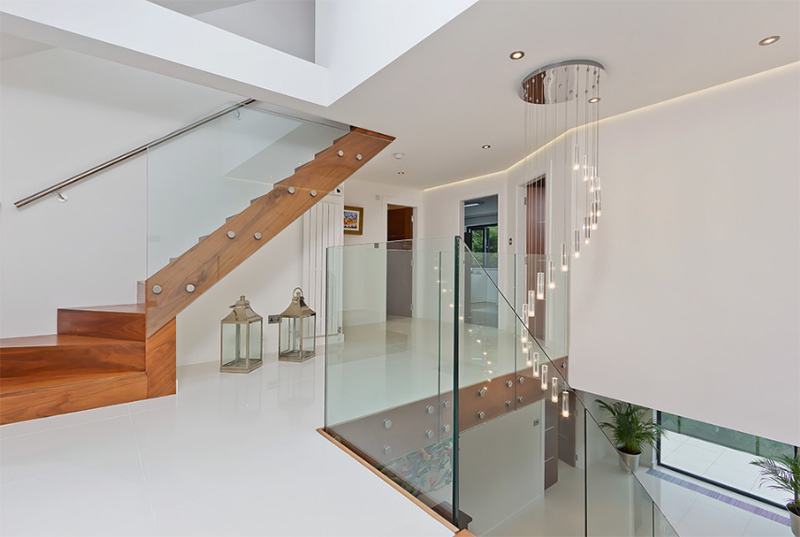 You have noticed that the wood and glass contemporary staircase above look really nice no matter how simple they all area. Because yes, simplicity is beauty and we can always apply that to designs related to our home. You might even be surprised how simple designs may have a huge impact to your homes just like what you have seen in this list. 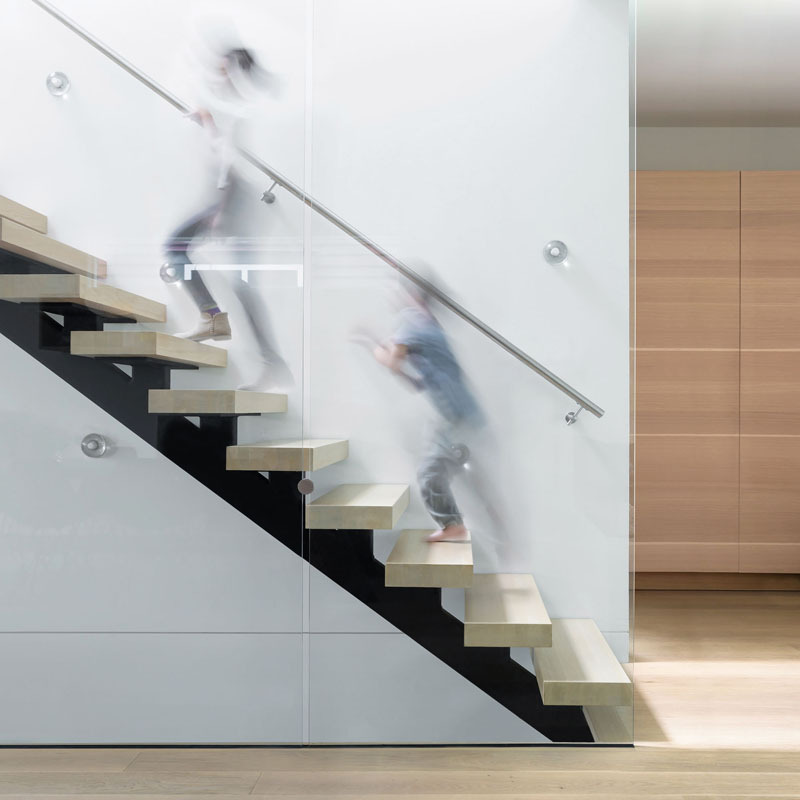 In truth, what made the staircases look really appealing is its choice of materials. What can you say about this list? Did you find something that you can use for your home?